Tari Ann Ayala is now the managing editor of Billboard Magazine, a prestigious position in the world of New York City publishing. But three years ago, while working at Glamour after stops at Elle and O magazines, she became disenchanted with the world of media and took a radical turn back to the time she’d spent with her grandmother in Puerto Rico, plucking avocados and listening to the sound of roosters, cows and goats. “I was burned out – wolfing down takeout in three bites while waiting for the subway and averaging 60-hour work weeks,” Ayala told Fox News Latino. So in 2011, she enrolled in a program at the Institute for Integrative Nutrition, studying to become a holistic health coach, while also taking a position as an apprentice on a small farm in Crown Heights, Brooklyn, to learn urban farming. While she eventually returned to publishing at Billboard in 2014, that drastic move gave birth to Tierra Sana Holistics (which translates as Holy Earth Holistics), a website and business offering Ayala’s services in nutritional coaching, planning urban gardens and cleansings for body and home. The programs Ayala designs for her customers have what she calls “bio-individuality” – meaning that they’re personalized. In her work, Ayala takes a pragmatic approach – suggesting to clients that eating something healthy is better than nothing healthy. She pushes people to eat greens and limit processed foods and sugars. Or to eat fruit, even if it’s not organic. A lot of what Ayala tries to get her clients to understand is the relationship between their mental well-being and what they eat. “I want to reduce the chemicals in your diet. I do a pantry cleanse, and I ask clients to keep a food diary, but there’s also a huge emotional component, like a chat with a girlfriend. We need to figure out and navigate why you eat, what to eat and what are your triggers,” she said. Ayala’s roots are in Puerto Rico, where there’s a connection to food in terms of where and how it’s grown, she says. “When I got older and found myself on the Youth Farm in Crown Heights, I felt deeply connected to the earth and to my grandmother. It solidified my determination to work in food justice and education. I get worked up whenever I think that my family has spent years purchasing and cooking food with such love in the belief that they were serving our nutritional needs,” she told FNL. Fundamentally, she says, “People know what’s good for them and what’s not. But … self-care is super-last on the [priority] list – especially for women.” Take it from someone who knows about a fast-paced lifestyle and the pitfalls of over-working. Rebekah Sager is a nationally published lifestyle and culture writer. She’s a regular contributor to Fox News Latino. 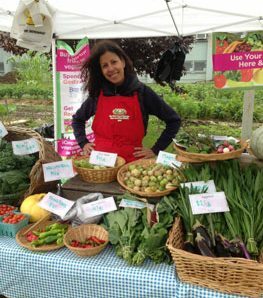 Tari Ayala is a holistic health coach, owner and founder of Tierra Sana Holistics, a health and wellness practice in Brooklyn providing guidance in the areas of nutrition, detoxing the home and body, urban farming and gardening. Tari, who was born and raised in New York, worked in the magazine industry for 14 years in a job that kept her tied to her desk, eating three takeout meals a day and clocking in over 60 work hours per week. Rather than succumb to stress, she enrolled in a program at The Institute of Integrative Nutrition and became a health coach. She then began an apprenticeship at The Youth Farm, a community farm in Brooklyn that offers training to students and community members, and eventually graduated from its Urban Farm Training Program in 2013. When she stepped into the Youth Farm, she felt an unexpected connection. “I felt so at home. I started making these connections with my grandmother; she always represented food for me. Her food was made with love…” she remembers. Tari holds sweet memories of her grandmother Benita, a strong matriarch who raised her three children as a divorced migrant in 1950s New York, and then returned to the island to build a house in Rincón. “I used to visit her often during the summer and we would go to the backyard to pick fruits. She would always know what to pick and when, and had these contraptions designed to pick the avocados from the tallest branches,” recalls Tari. 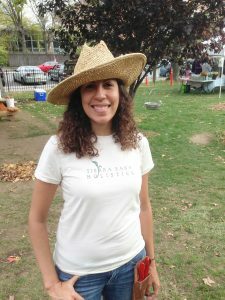 While working at the Youth Farm, she understood her new lifestyle choices were highly influenced by the love of food and nature her abuela instilled. We had a great turnout at the Eating For Energy Workshop out at CROM Physical Culture in Rockaway Beach, NY. The focus was on foods that support your fitness weight loss. I met many members of The CROM community and reviewed some general weight loss tips like skipping caloric drinks (even the diet ones), avoiding fried foods, and incorporating produce at every meal. The community Chris and Sarah Romulo have built is truly wonderful. They are a super fitness-focused group who do not take themselves too seriously and know that at the heart of every health community is a meeting place that unites them. They cherish it and Rockaway Beach can be proud to boast calling CROM Physical Culture one of it’s own.